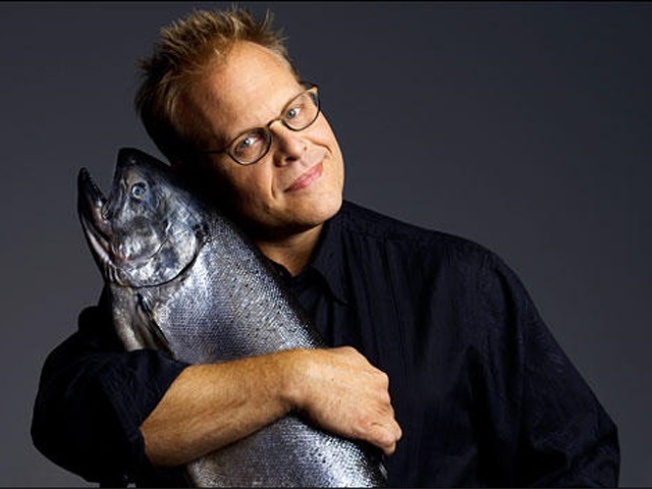 NERD NITE: Alton Brown, everyone’s favorite food-science nerd, has just published his second volume of collected recipes, Good Eats 2: The Middle Years. He’ll discuss the tome with another popular nerd, John Hodgman, fresh off his puzzling gig providing voice-over non sequiturs at the Emmy Awards. (FYI: In case you didn’t get tickets to the now-sold out NYT Talk with Brown this weekend, here’s your chance to see him for free). Barnes & Noble Union Square, 7PM. NIGHTMARE: The Black Cat (1934) marks the first onscreen pairing of horror legends Boris Karloff and Bela Lugosi, and what an odd pairing it is: In the underground chambers of a Hungarian castle, the play an architect and psychiatrist angling for the souls of a honeymooning American couple. Part of the Closely Watched Films series at 92Y Tribeca, who describe the film as “a bizarre tale of revenge, obsession, cat-phobia, necrophilia, ritual murder, glass-encased women, post-traumatic stress disorder, and chess.” (Is that all?). 7:30PM. TOP CHEFS: Eat Drink Local Week, the brainchild of the Edible magazine group and GrowNYC, wraps tonight with the Third Annual Taste of Greenmarket, an epic eating event at the Altman Building. In keeping with the fest’s core theme, sustainable, local ingredients will abound at tasting stations, helmed by a who’s who of NYC chefs and mixologists--from April Bloomfield (Spotted Pig) and Tom Colicchio (Craft) to Bill Telepan (Telepan) and Dan Barber (Blue Hill), and many more, with proceeds going to The Greenmarket Youth Education Project. Come hungry. 6PM (VIP); 7PM (general admission).